Hardcover, 11.75 x 11.75 in. / 148 pgs / 268 bw. 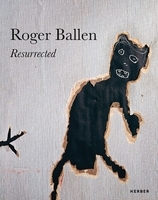 For more than 30 years now, American photographer Roger Ballen (born 1950) has been shooting portraits of the impoverished white population of rural South Africa. Likened to the work of master documentarians Walker Evans and Diane Arbus, Ballen's controversial photographs can be brutal, funny, tender and appalling. His day laborers and transients eek out a seemingly wretched existence in the country's so-called Platteland--a hermetically sealed world rarely captured on film. 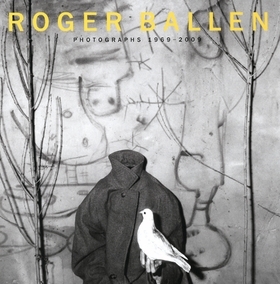 Ballen shoots exclusively in black and white, and portrays his subjects against the backdrop of their own living spaces, whose spartan interiors he transforms into claustrophobic, almost surrealistic stage sets, creating sculptural tableaux with wire, dilapidated furniture, animals and drawings. Published on the occasion of a retrospective at the Münchner Stadtmuseum, this monograph explores Ballen's extraordinarily expressive brand of photographic mythmaking. Edited by Pauli Sivonen, Ville Lenkkeri. Text by Riikka Ala-Harja, Marguerite Rossouw, et al. FORMAT: Hbk, 11.75 x 11.75 in. / 148 pgs / 268 b&w.